Oppo has sent out invites for the launch event of its Reno smartphone, which shows April 24 as the launch date. The event will be held in Zurich. Oppo has sent out invites to the press for a launch event on April 24 in Zurich that will showcase the first device of its new smartphone series Reno, reported Pocket-lint. The invite carries the tagline “Beyond The Obvious” along with the above-mentioned date and place. The timing mentioned at the invite is 14:00 – 18:00 CEST (Central European Summer Time) that translates to 5:30 pm – 9:30 pm IST (Indian Standard Time). The unnamed device of the new Reno series is rumoured to feature the 10x lossless zoom capability showcased by Oppo at the MWC (Mobile World Congress) 2019 in February. Earlier, it was reported that the phone would be launched on April 10 but looks like the official launch date would be April 24. The smartphone is expected to feature a 16MP pop-up front-facing camera along with a 48MP primary camera at the back together with the square-shaped module for 10x lossless zoom. Reports claimed that Oppo Reno will be powered by Snapdragon 855 processor which will be paired with up to 8GB RAM, and there might be a trimmed down version of the device (Reno Lite) which would feature the Snapdragon 710 processor. The upcoming Reno device is expected to be a 5G phone backed by a 4,000 mAh battery with 50W fast charging support. 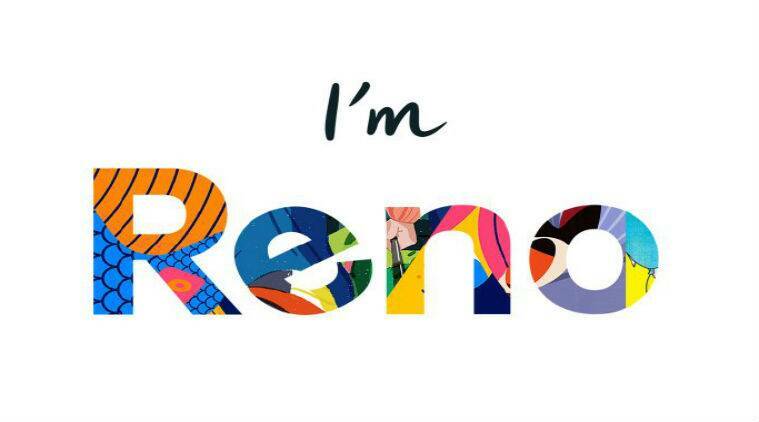 When Oppo shared the colourful logo of Reno on Twitter, many thought Reno would be Oppo’s second sub-brand after Realme. However, Oppo’s VP Brain Shen confirmed that Reno is a new smartphone series and not a sub-brand. 3 Vivo Apex 2019 Concept phone first look: Is it the future of smartphones?